The analysis which will determine whether Sofia Airport will be granted under concession or will be developed through some other form of public-private partnership should be ready in 6 months, according to Transport Minister Ivaylo Moskovski. In a Saturday interview for a weekly program of Darik radio, he explained that the measure was necessitated by the fact that Sofia Airport had been sentenced by the ICC International Court of Arbitration to pay USD 38 M to the Kuwaiti consortium contracted to build the runway on Terminal 2. Kuwaiti consortium Mohammed Abdulmohsin Al-Kharafi and Sons built the runway on the new terminal. The financing for the project was secured in the form of a loan of around USD 40 M from the Kuwait Fund for Arab Economic Development. The site was unveiled behind schedule in August 2006, with the Kuwaiti company demanding USD 20 M in compensation for the delayed obtaining of the construction permit and the unforeseen expenses. The Transport Ministry, which was then headed by Petar Mutafchiev, refused to acknowledge the unforeseen expenses, saying that the consortium had not presented the invoices, and filed a counterclaim with the International Court of Arbitration. The decision of the Paris-based court is final and cannot be appealed. "The payment will drain Sofia Airport of resources and it will have to seek other options for investments because it will obviously not be able to tap its own revenues to develop," Moskovski noted. Moskovski specified that German companies had expressed interest in Bulgarian ports and airports during his visit in January. The Transport Minister said that he would visit Qatar next week, adding that the country was also a potential investor in such infrastructure projects. He explained that no decision had yet been reached on whether to launch one concession procedure for the airports in Sofia and Balchick, which he said would depend on investors' interests. 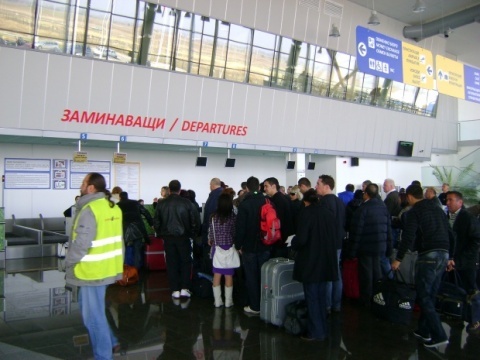 Moskovski revealed that the other airports for which the concession procedures had already been launched had failed to attract enough business interest. The concession procedure for the cargo terminal in Plovdiv would be terminated and replaced by a procedure for the entire airport, he clarified. The Transport Minister said that the privatization of the "Freight Services" unit of state railways operator BDZ Holding would be wrapped up within 6 months. He added that the construction of Danube Bridge 2 would be over by the end of the year according to schedule, despite the cold spell of the last month and a half which obstructed work. Moskovski noted that a joint venture was yet to be set up to manage the second bridge linking Bulgaria and Romania across the Danube River. He said that the establishment of the joint venture had been delayed due to the government change in Romania.